The infamous “Purple Steamer” finally got stripped and hauled off for getting crushed. The shell wasn’t worth salvaging. Lots of good parts left from it, so if you’re looking for any S13 parts, give us a shout. 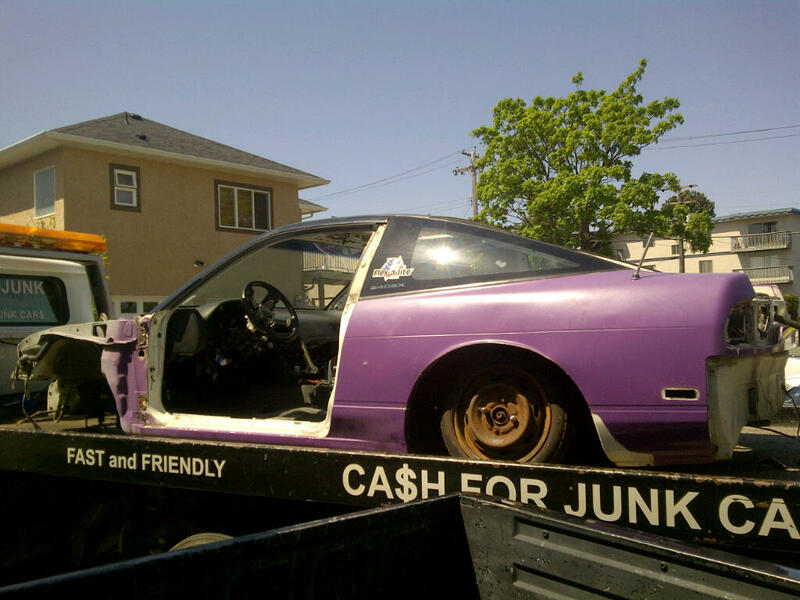 We also have parts for R32 GTR and some S14 parts.